The Horror Movie BBQ: Celebrating the 25th Anniversary of Home Alone! 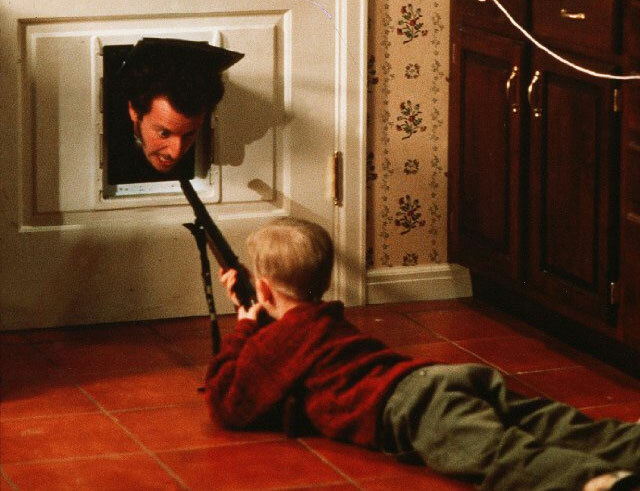 Celebrating the 25th Anniversary of Home Alone! 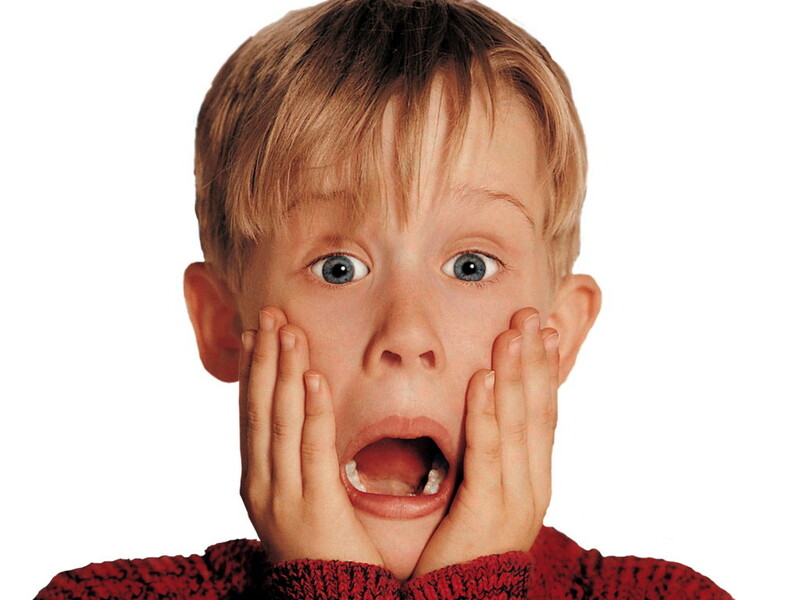 Today marks the 25th anniversary of the beloved family film Home Alone which is not easy to accept. It makes me feel old. I mean, I saw this movie in the theater! But, I guess when I think about it,seeing Masters of the Universe in the theater at age 4 was 28 years ago, so it's not as bad I guess. But still, combined with the thinning hair, and back issues, this doesn't help me feel any younger. Whatever, I guess everyone gets to that point. Pass the Geritol! 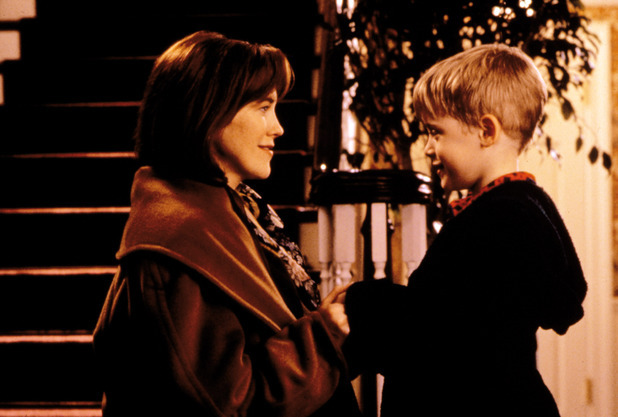 Anyway, for most if not all of us, it was love at first sight for Home Alone. We all found a new holiday movie to watch and found a new favorite star in Macauly Culkin. I remember laughing hysterically when seeing it in the theater that year and loving every second! And hey, my mom and older brother(who was at that age of "everything is dumb" phase) loved it too. It was very easy to love this movie. This movie took place in the city of Chicago, which makes sense. Two cities were the setting for essentially every Christmas movie in 80s and 90s: Chicago or New York. Why not? Big beautiful cities look great in the snow with big colorful lights. It's a perfect combo. I mean, I lived in the suburbs most of my life and they look great, but seeing the lights on Rockefeller Center is much more impressive than that of a barn in Davidsonville. Just saying. 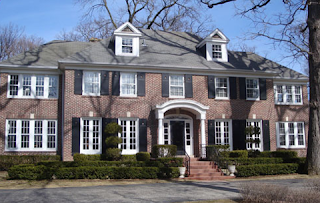 Ok, ok, ok so it's not Chicago proper, more of a suburb but it's still in the area and it is a John Hughes production, so it's already in your head that it is. You can't see John Hughes and think "oh boy, I bet this one is going to take place in my hometown of Ho-Ho-Kus New Jersey!". Just won't happen. Sorry. Although I'd love to see a John Hughes movie with all Jersey accents. How great would that be? 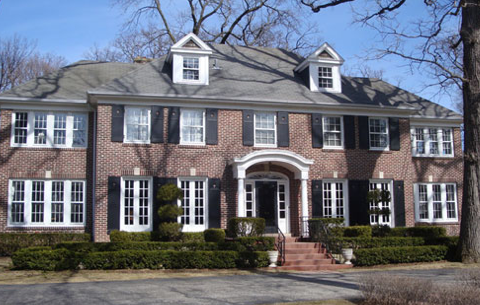 Kevin McCallister is the black sheep of a rather huge family. I mean, HUGE. So large, they had to cast Big Pete Wrigley from Adventures of Pete and Pete as one of the oldest kids. Yup. Sadly, no cameo for Arrie the Strongest Man in the Word. Pipe! So, deciding they needed to trek the whole family across country for Christmas, they rush to the airport and whoops! they left Kevin! So, that sets up our whole movie. What's a kid to do when he has a huge house to himself on Christmas? Eat crap, destroy his brother's possessions and get in trouble. That's what I'd do! So, now we have our setup. Now to establish our hero. 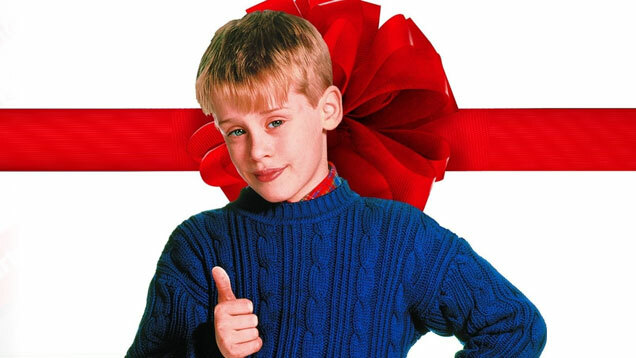 Kevin McAllister. Professional 7 year old boy. Pizza and Pepsi lover. Burglar eliminator. This was his town, his house and his movie. Macauly Culkin became the fresh faced, lovable pint sized hero that we as movie fans were itching for in the early 90s. Well, ok. Maybe just us kids. Not all of us were fortunate enough to have access to movies like Die Hard or Predator or whatever. I mean, I did, but some didn't. From here, it also gave Mac his own career. He'd go from this to Good Son to Party Monster to eating pizza in YouTube videos. Mac was hot in the early 90s, much like any kid star that would shoot adults with a bb gun. So in a way Kevin's ingenuity was as close to a MacGuyver/JohnMcClain as some kids could get, therefore setting them up for a love of things exploding and burning people's hair. I mean, not a lot of adults would think to use an old movie from the 1940s to put the fear of death into burglars. Marv and Harry. 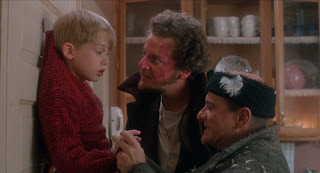 The Sticky/Wet Bandits. You know them already. As hilarious as they are, you'd be very foolish to overlook them as villains. They may seem silly, but they're scheme of posing as police officers and finding out who is out of town for Christmas is a rather ingenious ploy on their part. Plus, the funster in me can't resist the jolly prankster in Marv who leaves faucets running. It's just too darned awesome and funny. Also to be noted is their ferocity. I mean, they became downright obsessed with killing a 7 year old boy who they became suspicious of. I mean, they were close to killing him too if it weren't for the old South Bend Shovel Slayer. But if they're going to do that to a kid, imagine what would've happened to an adult who pissed them off? Prolly disfigurement. Yeah, gotta be disfigurement. Most will remember the booby traps. It's pretty much the centerpiece of ANY good action movie. 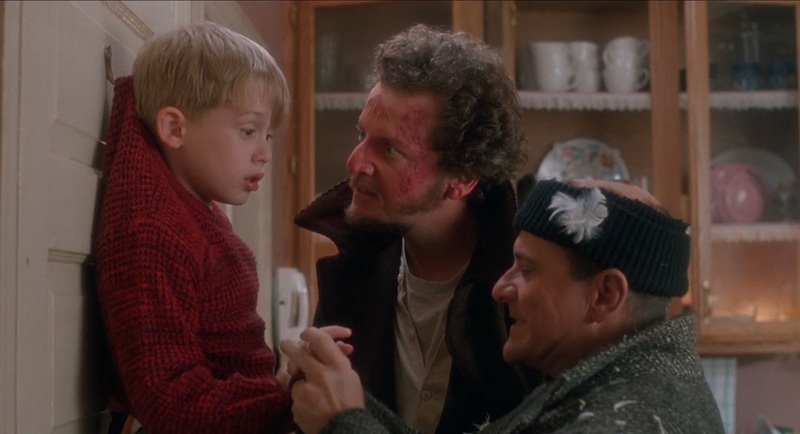 So, it should make all the sense int he world to see how The Sticky Bandits getting their comeuppance would be the favorite of fans everywhere. My favorite? The swinging paint cans on the stairway. Check out this great montage of all the fun traps! Now that the Sticky Bandit's have been been disposed of, Kevin is now reunited with his frantic mother and eventually his family. Christmas movies usually are perfect movies for those emotional "awwwww" moments that if used by other movies, they'd be made fun of so much. But with snow and Santa in it, it's ok. You won't be pushed in a locker if you say to your buddies at school for revealing you cried when Kevin saw his family walk in the door. I mean, you'll get a wedgie, but it won't be as severe. 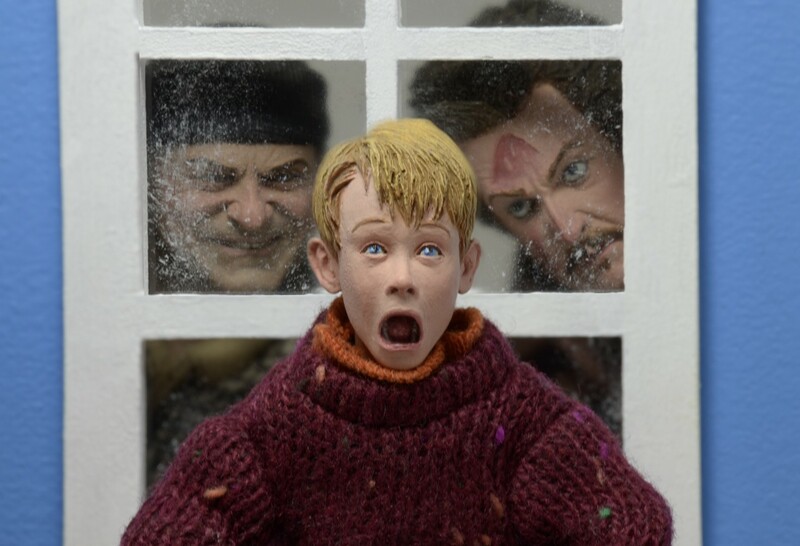 PS-NECA is putting out some great Home Alone figures this year. Check these out! With streaming and internet solutions, movies can grow to be a type of background filler as you use your phone or compose a paper & web.